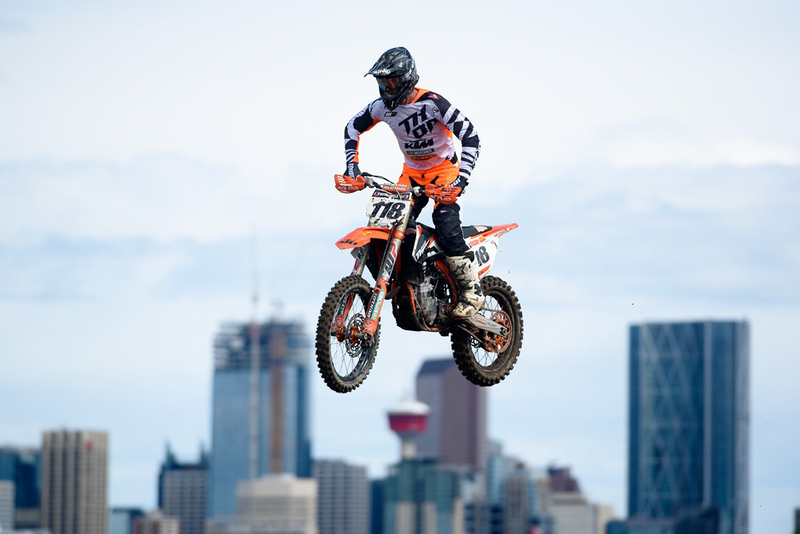 Davi Millsaps flying high over Calgary. Amidst the hubbub surrounding the AMA Nationals, many missed the finale of the Canadian MX Nationals. Davi Millsaps has been leading the series and has five wins in the 2016 series. He entered the last race with 494 points. His teammate, Cole Thompson, won the MX2 (250) Championship the week before. The tenth and final round of the series was held at RJ Motosport Park in the Toronto area. All Davi needed was five points to win the championship. He finished 14th overall and won his first major title since collecting the 250 East Supercross title with factory Honda in 2006. He will be returning to the USA to race for the BTO KTM team for the 2017 Supercross season. It is unknown what the team’s newest title sponsor will be, however, as BTO will reportedly no longer be supporting the team.